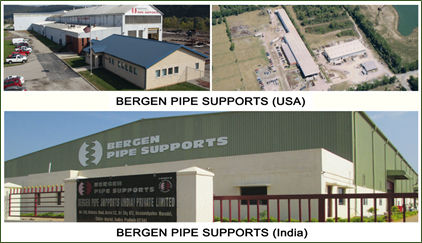 that we have formed a strategic partnership with Bergen Pipe Support Limited (BPSL). BPSL has facilities in the USA and India and along with our international network of agents gives us a stronghold in the GCC and the Middle East, as well as in the Asia and Europe which gives our strategic partnership a worldwide presence. has already assembled a highly professional team such that the management team now has a good deal of experience in the Pipe Support Industry. This means that we have a very good understanding of both commercial and engineering aspects of the business. 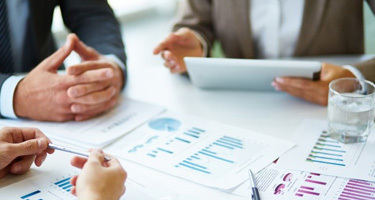 for having flexibility, quality and expedient delivery so our strategy will be to serve the developing Mid-Eastern market by using our sales team of knowledgeable and experienced professionals to coordinate with business and engineering leaders. 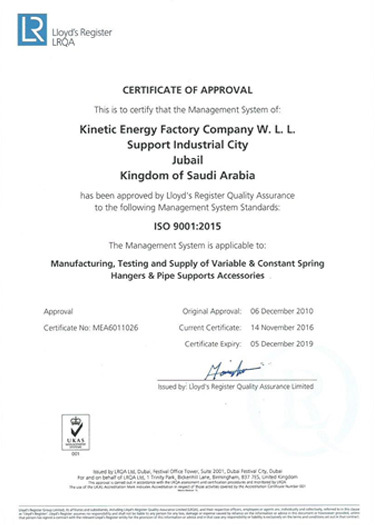 Kinetic Energy Factory Company – KEKSA is a subsidiary of AMCDE, which is one of the first Saudi Aramco approved licensed engineering firms in Kingdom of Saudi Arabia. AMCDE’s growth and reputation has been stellar and it has grown into various organizations including a JV with KBR under the banner of KBR-AMCDE and more recently into the further diverse AHCEC & AMCL. KBR - AMCDE has been established with a vision of developing its services to cover all the Saudi Hydrocarbon sector, then to expand to other sectors within Saudi Arabia and beyond as opportunities arose in the region and as capacity was built. 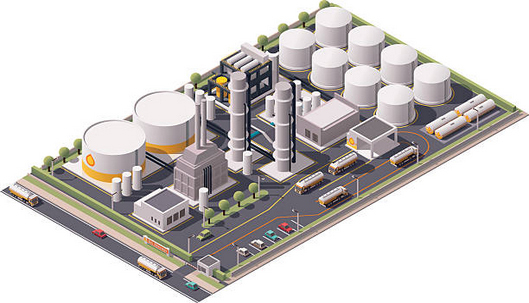 Currently, KBR-AMCDE is providing multi discipline engineering services including conceptual design, detailed design, and project management in a fashion that meets Saudi Aramco’s high quality requirements and procedures. AHCEC is providing a full range of engineering services including conceptual design, front – end engineering design, detailed design, and project management. AHCEC is handling Architectural & Building Services,t Urban Planning, Geographical Information Systems (GIS) & Survey, Traffic & Transportation, Power Transmission & Distribution and Project Management – Construction Supervision – Manpower Supply projects. AMCL was created to leverage the knowledge and experience the owners have amassed over four decades in serving the market in the engineering services arena to diversify their portfolio of services and investments. The vision is to serve the local market by entering into partnerships & joint ventures (JVs) with other local and international companies that are not only experienced in their appropriate fields, but are also reputable by the quality of their services. 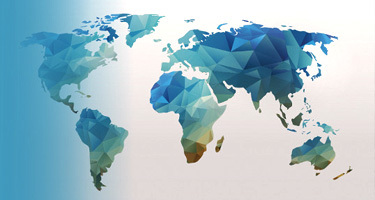 The services that AMCL is targeting to offer through the various JVs and partnerships are: EPC’s, Technical support services, manufacturing of specialized elements for the industrial sector and etc.that AMCL is targeting to offer through the various JVs and partnerships are: EPC’s, Technical support services, manufacturing of specialized elements for the industrial sector and etc. AMCDE has analyzed the incrteasing demands of pipe supports in GCC and has kept the vision in mind to manufacture pipe supports locally. In 2007, AMCDE has established KEKSA with a state-of-the-art manufacturing facility in the Industrial Hub of KSA. KEKSA specializes in manufacturing Spring Hangers and all kinds of Pipe supports for the harsh local environments and demanding applications of the petrochemical, oil, gas, power generation, LNG, renewable energy and water treatment industries. 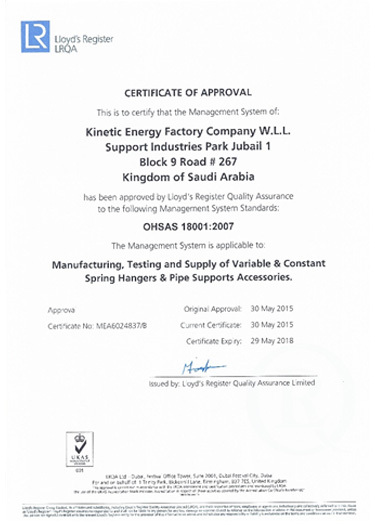 With the passage of time, through executing projects for Saudi Aramco, SEC, SABIC, MA’ADEN, KNPC, Qatar Petroleum, Kuwait Oil Company, Turkmengas and others, KEKSA has garnered a reputation for reliability, quality, and project execution excellence. 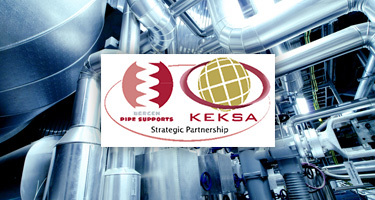 KEKSA provides reliable and quality pipe supports at competitive prices with shorter delivery times, having fewer customs hurdles than the competition for the GCC market. KEKSA also provide field services related to pipe supports with quick response time for emergencies including inspection & survey, installation & commissioning, testing & calibrating for pipe supports. With the engineering capabilities in the group, a local manufacturing facility and readily available service team, KEKSA ensures to cover complete requirements of clients for pipe supports. part of Hill & Smith Holdings PLC, a UK based international group with leading positions in the supply of infrastructure products and galvanizing services to global markets. Established in 1968, Pipe Supports Group is a global manufacturer and supplier of pipe supports and restraint equipment to the power generation, oil, gas, petrochemical, LNG renewables and waste water industries with manufacturing Centers of Excellence in USA & India. This strategic alliance brings forth the strength of both organizations so as to benefit the customers in the Gulf Cooperation Council (GCC) and Middle East regions. 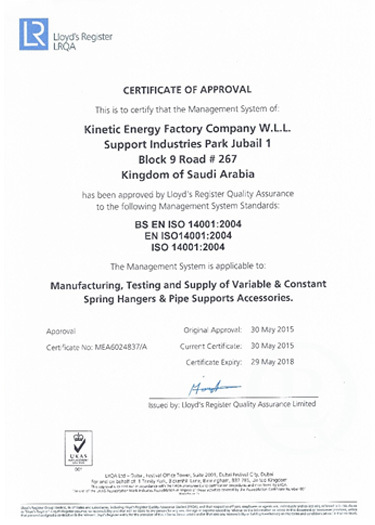 KEKSA contributes by being a local Saudi Arabian establishment with experience in the regional conditions and BPS bring forth their experience as an international specialist and a global supplier of pipe supports. BPSL has a manufacturing centre of excellence and brings its vast experience and extensive product range to the partnership. 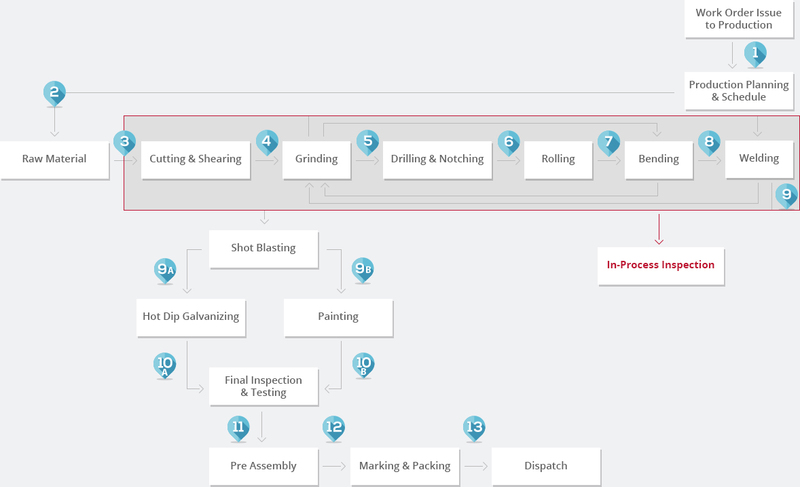 KEKSA operate with the highly developed Integrated Management System (IMS) based upon the ISO 9001:2015, ISO 14001:2004 & OHSAS 18001:2007 standards. Variable and Constant Load Spring Hangers & Pipe Support Accessories of the Highest Quality provided at Competitive Prices. This together with an uncompromising approach to the Quality and manner, in which we conduct our business and serve our customers, is our Policy. • Plan, manage, conduct and supervise all our work in compliance with legislation and best practices in order to prevent injury and ill health as well as prevent pollution. • Continually improve the performance of Health, Safety and Environmental management system. • Ensure that all workers have clear understanding of their responsibilities with that of the company.